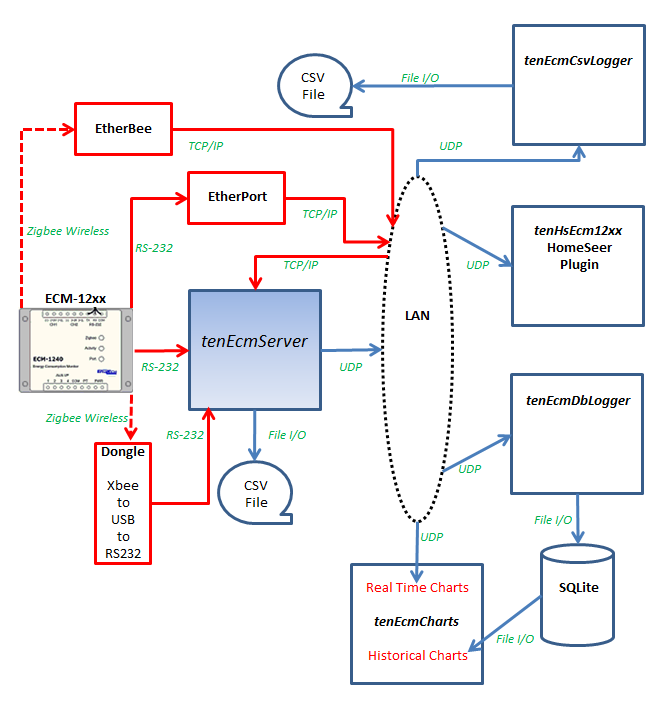 Because tenEcmServer broadcasts each ECM record across the network in CSV format, it is fairly easy to write client programs that process the ECM-12xx data. The record format is detailed here. tenHsEcm12xx HomeSeer Plugin creates HS devices to track energy consumption, tracks monthly energy costs, and charts real-time energy consumption. 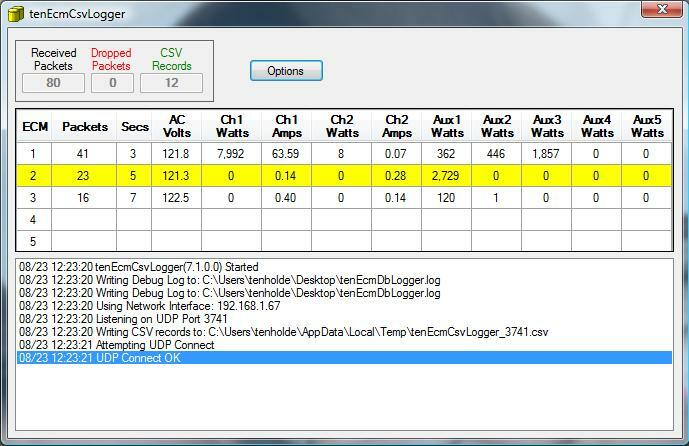 tenEcmCsvLogger is a simple program that receives the broadcast packets and writes them to a .csv file. Added two option properties that allow you to specify the frequency in seconds to write CSV records and the option to write only the most recent record, overwriting previous record each time.